Type ARK | TROX South Africa (Pty) Ltd. Non return dampers type ARK and ARK1 are designed for automatic shut off of individual sections of an air conditioningsystem. With fan running, the degree of blade opening is afunction of the air velocity. If the fan is turned off, the bladesclose automatically. 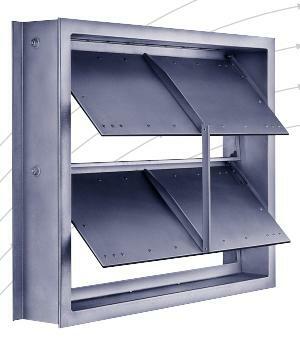 In a multi fan installation this prevents backdraught through the non-operating fans.Pressure relief dampers type ARK2 are used in ventilationsystems and rooms of buildings to prevent excess pressuresoccuring. If a specified pressure difference is exceeded thedamper blades automatically open to relieve the excesspressure. Pressure peaks, e.g. resulting from rapidly closing fire dampers or shut-off dampers, will be reliably controlled.